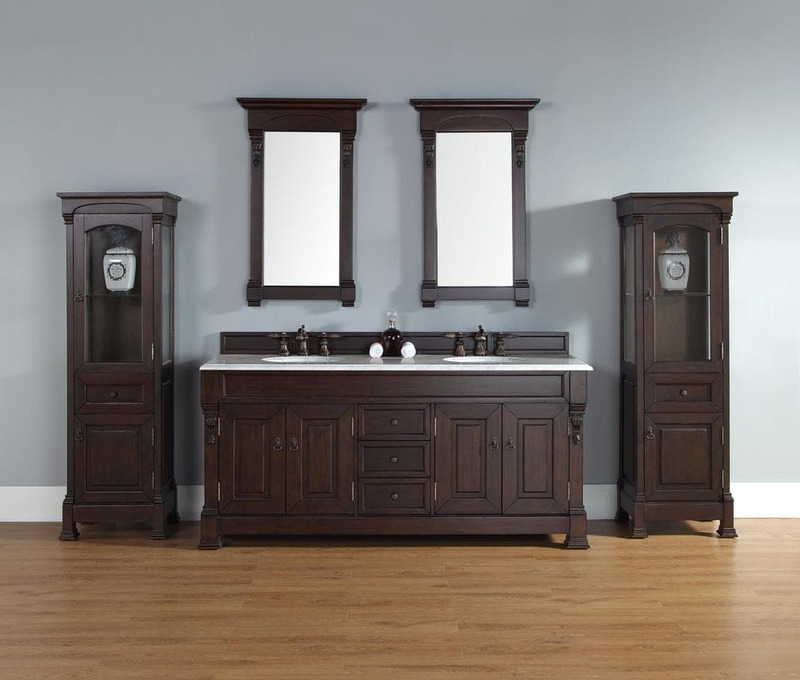 The Brookfield 72", double sink, Burnished Mahogany vanity by James Martin Furniture features hand carved accenting filigrees and raised panel doors. Four doors, two on either side, open to shelves for storage below and three center drawers, made up of a lower double-height drawer and both middle and top standard drawers, offer additional storage space. The look is completed with Antique Brass finish door and drawer pulls. 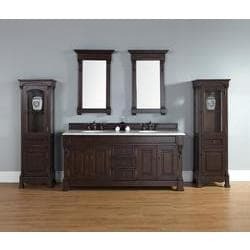 Matching decorative wood backsplash is included.